Sharon Dolin teaches private workshops and is available for one-on-one manuscript consultations and tutorials. ​Spring Workshops Already in Session. Check back here for Summer Workshops. This intensive workshop provides a small group of writers the opportunity to respond in poetry and prose to the rich cultural heritage of Barcelona. 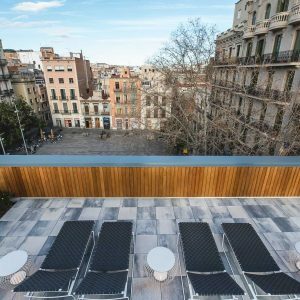 New for 2019: Participants will stay at a beautiful boutique hotel in Gràcia, a peaceful neighborhood of plazas, plentiful restaurants, and pedestrian streets with easy access to all sites in Barcelona. ​Day 1: Arrival in a.m. Welcome Lunch. Tour Bomb Shelter from Spanish Civil War. Day 2: Tour of Barcelona's Jewish Quarter plus traditional Sephardic lunch. Day 3: Visit Parc Güell. Shabbat Services: Potluck Dinner. Day 4: Free Morning. 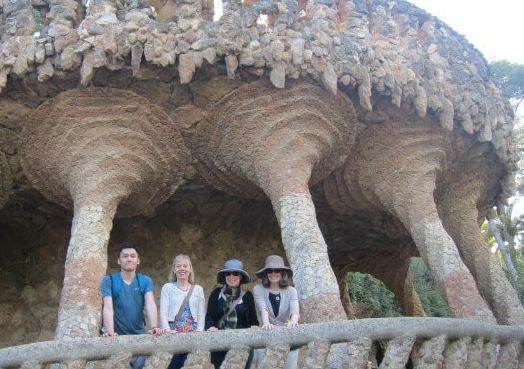 Guided Visit of Gaudí house. Day 6: Excursion/Tour of Jewish Qtr & Jewish Museum of Girona. Day 7: Visit Picasso Museum. Day 8: Visit Tàpies Museum. Watch Castellers practice in eve. Day 9: Evening Reading by Participants. (11 a.m.-1 p.m.) followed by a lunch break. ​Applications for 2019 open on January 1st. Apply by April 8th. To apply: Send 2-3 poems or short prose pieces to writingbarcelona@gmail.com. ​For questions contact Sharon Dolin.